Liquor liability coverage is a unique type of insurance that is only needed when a business has some involvement with alcohol. While it is extremely important that those businesses that need liquor liability coverage have it in place, many who need it don’t have it. Some business owners forgo coverage because of the expense, but in many cases, businesses do not have coverage because they don’t know they need it, think it is already provided as part of another policy, or don’t understand the implications of not having it. 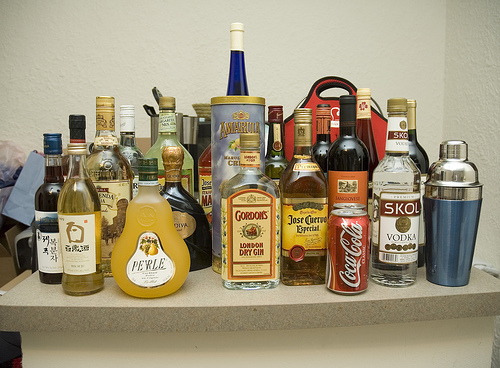 What is Liquor Liability Coverage? This is a type of insurance purchased by businesses that offers protection from loss or damage resulting from the actions of a customer that is intoxicated. It covers property damage and liability claims for injuries to others and for self-inflicted injuries by the drunken customer. It can be sold as add-on coverage to a commercial general liability policy or as a separate policy all together. One of the most common misconceptions that open business owners to huge losses is that they are not responsible for the actions of their customers including those who are intoxicated. Unfortunately, this is not the case. Another common misconception is that this type of liability is covered under a general liability policy. Most business liability insurance policies specifically exclude any liability resulting from this kind of loss. Any business that is involved in the manufacture, sale, or service of alcohol or who assists in the purchase or use of alcohol generally needs this kind of coverage. If there is a possibility that a customer, client, or patron could become intoxicated using alcohol that a business made it possible for them to obtain, that business needs this kind of coverage. Courts have ruled time and again that purveyors of alcohol can be held liable for the actions of their intoxicated customers which means the only way to protect the business is to have the right coverage. Liability – This coverage protects the business from losses resulting from a lawsuit filed by someone injured by the intoxicated customer. A common example is a lawsuit resulting from a drunk driving accident. This also covers lawsuits filed by the customer for injuries or damage they caused to themselves while they were intoxicated. Property – This covers property damage caused by the intoxicated customer. Assault and Battery – This covers your liability to injuries and damages caused by intoxicated patrons fighting. What to Look for in a Policy? Defense Costs – Make sure the policy you purchase doesn’t exclude this or decrease your limit to cover legal defense costs. Employees – Make sure the policy does not exclude employees. Mental Damages – Make sure that mental damages like mental anguish and stress are included in your policy. Businesses that are involved in the creation, sale, and distribution of liquor and alcohol need to take steps to protect themselves from liability claims resulting from intoxicated patrons. Purchasing a liquor liability policy is one of the best steps a business can take to secure this kind of protection.